Vote-by-mail is a different type of postal voting in the United States where a voting ballot is mailed to the registered voter’s home. Later, the voter fills it out and returns it through postal mail service. Rules for the vote by mail vary from state to state. Almost every state allows vote-by-mail through an absentee ballot. In some state, the voters need to provide the reason for vote-by-mail. The reason could be anything like out of town, illness, etc. However, the majority of the state allows the registered voters to vote-by-mail. 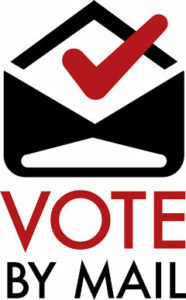 Which is the Reliable Source to Know About Vote-By-Mail? If you need to find more information about voting, you can approach your local city election office or visit Can I Vote.org (www.canivote.org). In this site, you will find additional information such as whether you are a registered voter or not, your polling location, and find links to your state’s election website. You can also get the print of the registration form. They also provide insights of local jurisdiction’s requirements regarding vote-by-mail and absentee ballots. Also, you should familiarize yourself with all the local jurisdiction’s requirements about Vote-by-Mail and absentee ballots including postmarking requirements. Will My Ballot Arrive on Time? The postal company recommends you to mail your completed ballot before five days of the Election Day to make sure that the election office has sufficient time for processing your vote. There are several factors that determine how swiftly and efficiently the mail is handled. Ensure that the address is showing clearly on the return envelope and make sure you have placed a valid stamp on the envelope. Is the Ballot Safe in the Mail? “The security of the seal” and the sanctity of the mail” is the primary goal of the U.S. Postal Service for more than 200 years. Postal agencies should safeguard all the mails and protect them from illegal use is one of the valued and oldest federal law enforcement framed by the Postal Inspection Service. Since late 18th century, there are several instances where the employees of the Inspection Service caught the criminals who tried to misuse the mail. Why do Customers Receive Several Mails from Candidates? Mail is one of the dominant media to get attention. Because mails are worth remembering, people open it and read it. Once the mails are read, people think about it and make a wise decision. Candidates also have an assurance that their mails were delivered. For this reason, candidates make use of mails to seek more attention from civilians. Which is the Reliable Source to Know More About Overseas and Military Voting? The FVAP (Federal Voting Assistance Voting Program) is a reliable source that is dedicated to providing voting support for citizens that live outside of the United States, uniformed service members, and their families. You can visit their official website at www.fvap.gov or can make a call to -800-438-VOTE (8683). Previous Article How is U.S Postal Service Making its Mail Delivery Greener?